I’ve been aware that not all beers are created equal for longer than I care to remember, so I listened with genuine interest to my fellow bloggers and industry insiders as what seems to be known as the cask v keg debate rumbled around the first-ever European Beer Bloggers Conference in London last month. The debate later developed into a row when CAMRA’s chairman Colin Valentine apparently attacked bloggers for promoting beer that isn’t real ale (NB. I will admit I’ve heard about this second hand so won’t go into detail – but see links below to blogs that have). Anyway, to get back to my own two pennies worth, here’s what I understand the crux of the argument to be: Some beer is better than others and the lesser beers shouldn’t be promoted at the expense of championing real ale. Here’s the science bit (skip the next paragraph if you don’t care about, or can’t be arsed to read again, the difference between the two). As you may, or may not, know the ‘real’ ale which CAMRA campaigns for is defined as beer that continues to ferment in the receptacle from which it is served – known as secondary fermentation. Whereas, if I understand correctly, keg beer is brewed, then stored in an airtight container, where there’s no more fermentation, and dispensed under pressure using carbon dioxide – thus producing a more fizzy pint. To confuse things further (don’t stop reading – I’m nearly done) there’s also the difference between bottle conditioned beer – aka real ale in a bottle, which contains live yeast and therefore keeps fermenting till you drink it – and filtered or pasteurised bottled beer which doesn’t. I’ve been a CAMRA member for a couple of years now and a real ale enthusiast for more than two decades, but when I first joined CAMRA and began to gain a greater understanding of beer I started worrying about what I was drinking rather than simply enjoying it – and let’s face it that’s a bit of a sad state of affairs. 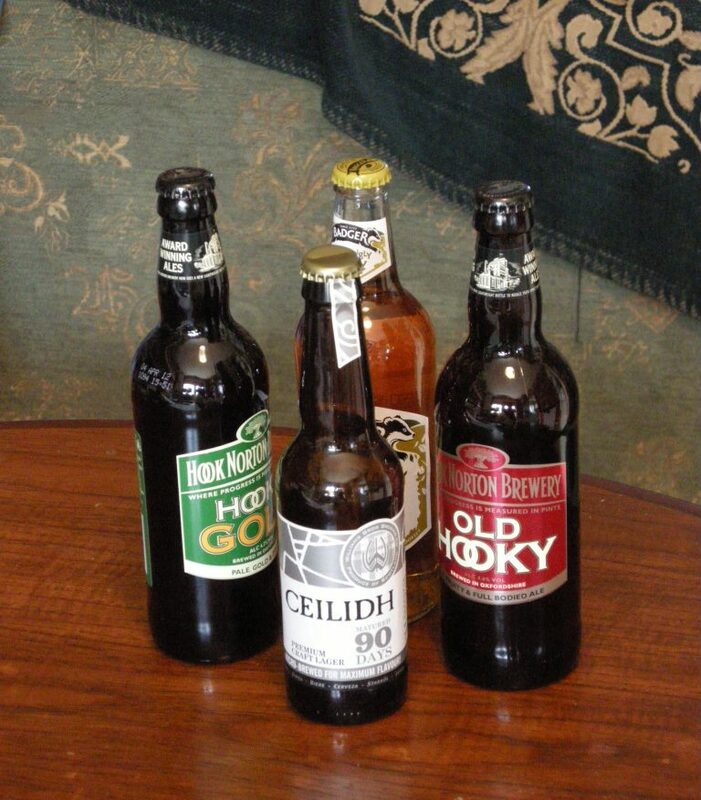 I started to think that if you admitted to buying and drinking – let alone enjoying – the sort of bottled beer available in the supermarket you’d be at best frowned upon by People Who Really Knew About Beer and at worst considered an idiotic philistine. But as I did the weekly shop and saw very few or, more often than not, no real ale in bottles I turned to old faithfuls like Adnams’ Broadside and Old Hooky, took them home and enjoyed them. Another time I was in a pub in Ireland. I had a really nice pint, but wasn’t sure if it was real ale and, therefore, whether I should be singing its praises but as I listened to other beer enthusiasts discuss the issue and having read other bloggers’ views (such as this post http://realalegirl.blogspot.com/2011/06/right-then.html by The Real Ale Girl) I have decided to come out of the closet and admit that I, along with many others, drink beer other than real ale and some of it is bloody good stuff. Is this the 'wrong' kind of beer?! I wouldn’t go as far as some whose opinions I’ve heard because I don’t think I’ll ever be persuaded that certain mass produced, big market share beers and lagers are as good as a lovingly brewed real ale but I think there’s room to praise and promote well made, delicious ‘craft’, ‘artisan’, or even just non-bottle conditioned beers that we like without damaging the cause that CAMRA fights for so well. For me, the bottom line is this: beer is a fantastic, delicious drink and there are an incredible amount of talented brewers making it in the UK. It is something to be proud of and something worth writing about – so more people will drink it, but it does still have an image problem. Ask outside the beer community and many still see it as a fusty old bloke’s drink, enjoyed by anoraks with nothing more important to worry about. If we want to continue the work of turning that image on its head, we might have to keep arguments like this to ourselves. At the European Beer Bloggers Conference I developed a taste for lager – obviously not the mass-produced fizzy, cold and yellow kind. 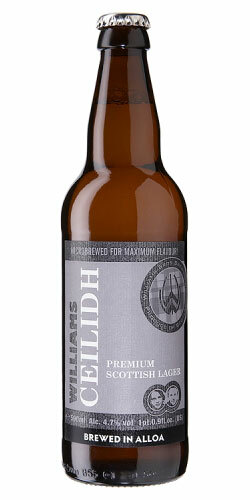 In particular I liked Williams Bros Ceilidh Craft Lager, which reminded me of a golden summer ale. It was sweet and hoppy, with a clean astringent aftertaste and a gentle, dry bitterness. I also liked its tropical fruit-like aroma, hints of which carried through into the taste. The very dry, crisp and nicely bitter East River Lager from Sweden’s Sigtuna Brygghus also pleased my taste buds. Back at home I must tip the nod to Goddards Special Bitter which I tried at the Borough Arms in Lymington. It was a really drinkable golden-coloured bitter with a biscuitty, malty flavour. I also enjoyed Cottage Brewing’s Sunbeam Tiger, a smooth, medium bodied beer; gently bitter, with a satisfyingly dry aftertaste which I had at The Sir Isaac Merrit JDW in Paignton. Next Investing in attitude. Will BrewDog’s brand attract new money?